Pregnancy is one of the most important phases in the life of an expectant mother. It is a time when a healthy lifestyle is adhered to for the good health of the would-be mother as well as the baby. Certain types of fruits are a strict no-no, and certain types offer many benefits to both. Dragon fruit is one such fruit that offers numerous advantages. Let’s look at the benefits of eating dragon fruit during pregnancy. Is it safe to eat dragon fruit during pregnancy? It turns out, it is. In fact, there are many health benefits of consuming this fruit while you are expecting. 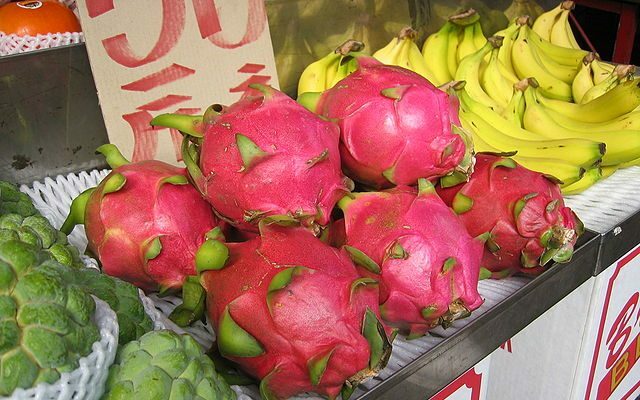 Dragon fruit, also called pitaya, is native to Mexico, South America, and Central America. The fruit comes in a sour as well as sweet variety depending on the species. With globalization and increased trade, this fruit is now available almost all over the world. The texture of this fruit is almost similar to that of a kiwi fruit, albeit with many black seeds in it. Dragon fruit not only satiates your food cravings and hunger pangs, but it also provides you with many health benefits. Some of them are listed below. The abundant amount of folate in dragon fruit makes it a healthy choice for a pregnant woman. Folate protects the unborn baby from neural tube defects. The fruit also has several other essential nutrients like vitamins B1, B2, and B3, and vitamin C. It also contains other key nutrients that promote good health in the fetus, as well as its proper growth and development. The calcium content in the fruit helps to strengthen bones and teeth. The calcium and phosphorus in dragon fruit may also aid in developing the bones of the unborn baby. The iron and vitamin C contents help boost the hemoglobin count in pregnant women. So, dragon fruit helps reduce the risk of anemia and any adverse effects caused by low hemoglobin levels. Constipation is a common complaint that most expecting mothers have. The high fiber in dragon fruit helps fight constipation. The nutrients in the fruit act as a cleansing agent to fight many other digestive disorders. Additional benefits include preventing microbial infections and supplying required energy. The high antioxidant levels fight free radicals. And, the vitamin C helps neutralize the free radicals and boosts immunity to prevent the risk of infections during pregnancy. Enjoy this tasty and nutritious fruit on its own or use it in a healthy recipe. We suggest trying out this simple and healthy dragon fruit recipe. To make this wonderful salad, mix up the yogurt, mayonnaise, lemon juice, and ginger in a large bowl. Add salt to suit your taste and mix well. Add about three-quarters of the dragon fruit, apple pieces, cashews, and grapes. Mix again and refrigerate for an hour to allow it to set. Before serving, lay out the lettuce leaves in a large dish and add the scoops of the prepared salad on each leaf. Top it with the remaining fruits and cashews to make a tasty and healthy snack. Sprinkle cilantro to add additional flavor and enjoy! Fruits are without doubt essential for our daily diet. Most fruits are abundant in vitamin C, which helps make the immune system stronger. Vitamin C is vital for developing teeth and bones, while folic acid helps prevent fetal growth defects. There are many other fruits that pregnant women can consume. Apricots, oranges, mangoes, jackfruit, kiwi, sapodilla, guava, cherries, apples, and watermelon are a few healthy options which can be helpful during pregnancy. What to eat and what not is often a question that confounds many expecting mothers. So, be sure to consult your doctor when it comes to the list of fruits and the quantity you can have. The reason is that some fruits are not allowed during pregnancy. Also, certain fruits are not allowed depending on the trimester you’re in and your overall health. But, having healthy fruits such as dragon fruit provides health benefits to the unborn baby as well as the expecting mother. “Healthy Dragon Fruit Waldorf Salad,” Food Network, http://www.foodnetwork.com/recipes/food-network-kitchen/healthy-dragon-fruit-waldorf-salad-3364401, last accessed August 17, 2017. Phillips, S., “Dragon Fruit and Pregnancy,” LIVESTRONG, February 2, 2014; http://www.livestrong.com/article/555142-dragon-fruit-and-pregnancy/, last accessed August 17, 2017. Balasubramanian, D., “15 Nutritious Fruits to Eat during Pregnancy,” Mom Junction, June 8, 2017; http://www.momjunction.com/articles/nutritious-fruits-to-eat-during-pregnancy_0075720/#gref, last accessed August 17, 2017. McDermott, A., “7 fruits You Will Want to Eat ring Pregnancy,” Healthline, April 8, 2016; http://www.healthline.com/health/pregnancy/best-fruits-to-eat#12v, last accessed August 17, 2017.